The gym is set up with no treadmills, bikes or squat racks. The room is broken down into twelve stations (rounds) with two exercises at each. You rotate through the two exercises within the 3 minutes before progressing into the next round. A constant timer is set to 3 minutes with a warning buzzer at 2:30. 12 Rounds equals a 45 minute full body workout. Generally, 25% of the workout is boxing which aims to sustain the activation of the core for the entire workout. The other rounds include a combination of cardio (ergo’s), body weight training (chin ups, push ups) and weight training (using kettlebells or dumbells) – you name it it is probably somewhere in the workout! Each workout changes daily so when you arrive you never know what to expect! The workout not only is a full body functional workout but it is a High Intensity Interval Training Workout. This means that after you leave the gym your body keeps burning in a recovery phase called “EPOC”. Read more about the benefits of HIIT Workouts here. Due to the intensity of the workouts, owner Tim, says that “it is crucial to maintain a balance in your life to see the best results.” It is not about coming 7 days a week and smashing out a workout. To get the best results he recommends starting 3 times per week in conjunction with good amounts of sleep, water and recovery food – otherwise it is easy to burn out and loose motivation. 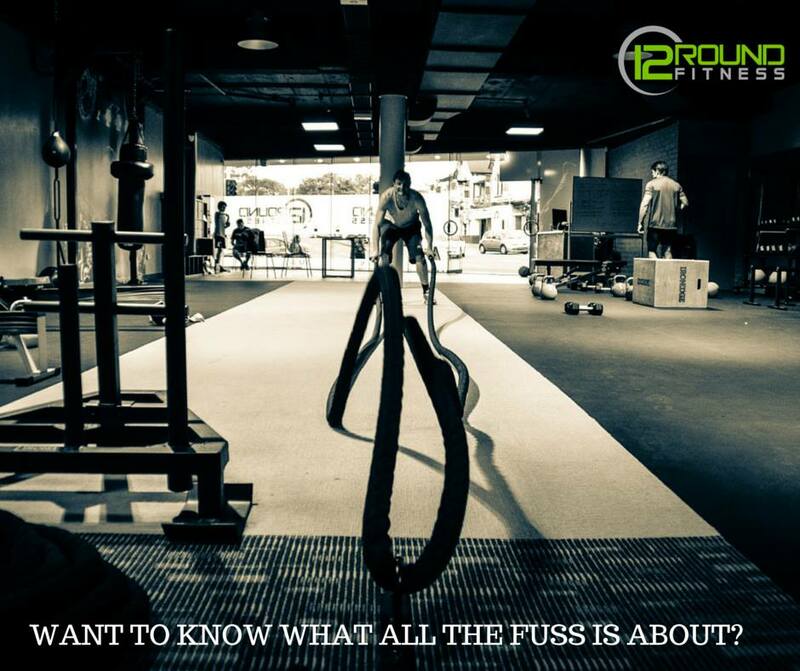 12 Rounds is a MyZone supported facility. MyZone is a heart rate belt which displays the intensity that you are working out at. At the end of each session you are sent a workout rundown with information such as average heart rate, how many calories you burnt and time spent in each of the zones. In our 45 minute sessions Adeliade and I burn between 400-550 calories. The MyZone is an additional cost but definitely worth it for the best results! 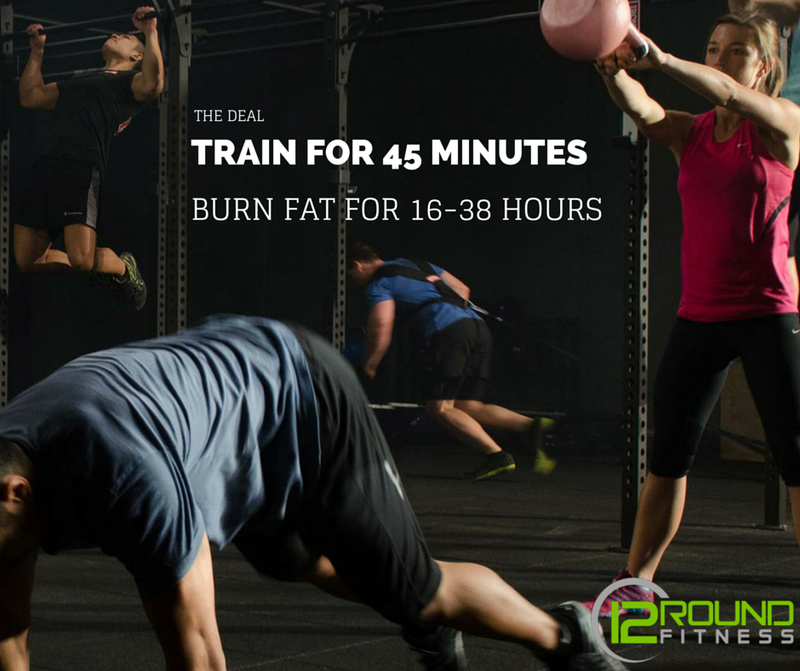 With 12 Rounds you are paying for personal training circuit training. With a minimum of two trainers per session – don’t worry they see everything even when your having a sneaky breather. They offer 10 casual passes for around $180 and have a weekly rate of approximately $29.95. There is a small optional equipment fee for gloves and the Myzone (which we strongly recommend). For a limited time only we are happy to announce we are giving away 7 DAY FREE TRIALS! All you have to do is head to either facility and mention “thebasicbalance 7 day trial” to redeem yours! 12 rounds is open 6 days per week in the morning and afternoon, sometimes through lunch check out the exact times here. 12 Rounds doesn’t rely on any class start times when you arrive that is your start time. You know when you start you have 45 minutes to go, no less, no more. No excuses for sleeping in or the traffic!